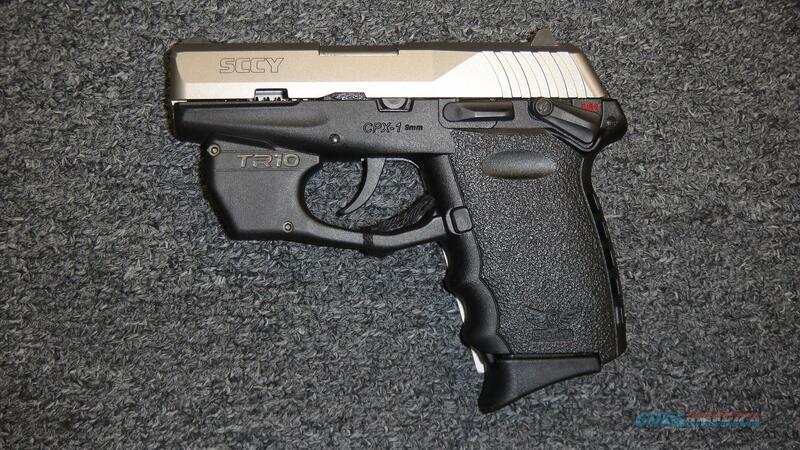 Description: This new SCCY CPX-1 pistol fires the 9mm round. It has a 3" barrel with a stainless slide and a black frame. This semi-auto pistol comes with two 10 round magazines, extra magazine flush floor plates, lock, manual, and box. This gun does have an ambidextrous external safety.